Sweet Cheeks Adventures: Making Giving Back Easy with Giving Assistant! Making Giving Back Easy with Giving Assistant! I'd like to thank Giving Assistant for sponsoring today's conversation. All opinions and photos in this post are my own. Getting back while shopping has always been something I've been interested in. Charities need my money, so why not give back while getting the products I would be purchasing anyway? This is where Giving Assistant comes into play in my every day shopping! Giving Assistant is a free digital loyalty program, over 1,100 largest retailers, avg. 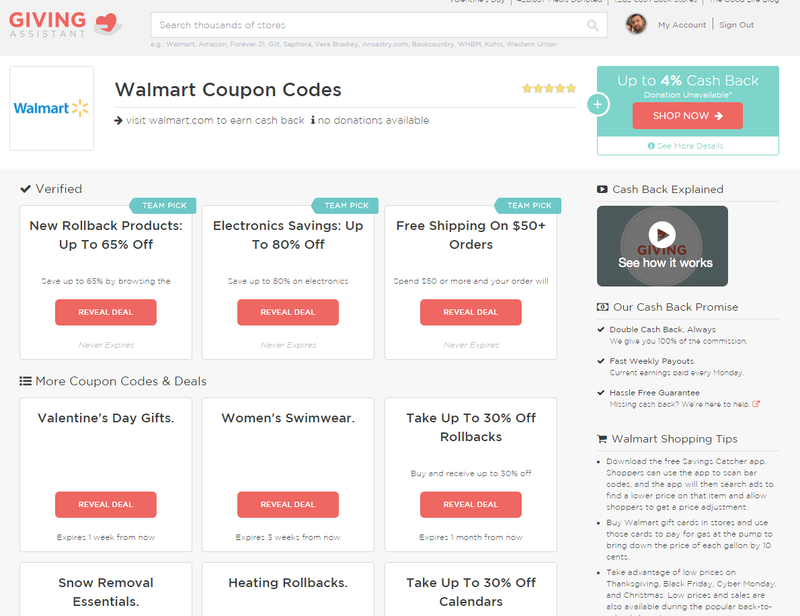 of 5% cash reward after each online purchase. The website is really easy to use. Simply sign up with your email or social media page. You'll decide on a password and just like that, you are in! 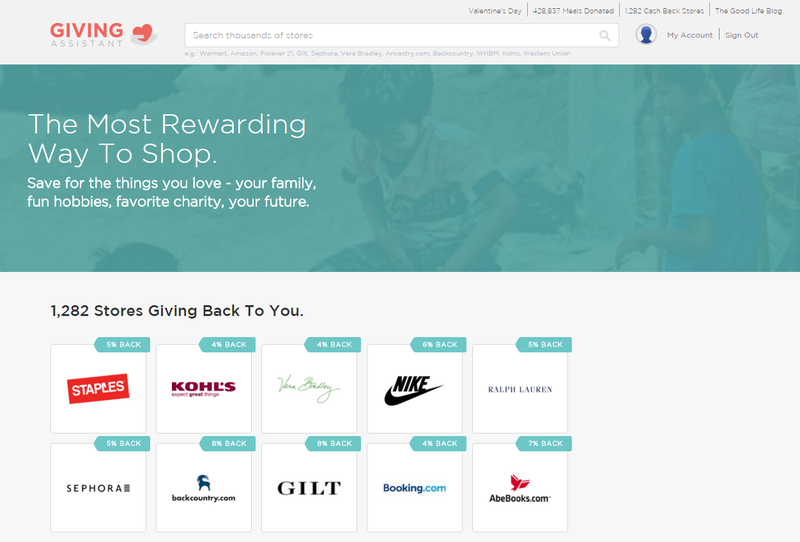 There are over 1,000 stores ready to give back, right away! Even better, Amazon, Best Buy and Walmart are on the list of retailers! As you can see below, I searched Walmart. It brought up all of the ways you can earn money back or great coupon codes & deals. Retailers pay Giving Assistant a commission for purchases originated from their website. Typically a percentage of the sale (avg ~5%). For purchases originated by Giving Assistant members, they pay the entire commission as cash back directly and digitally to members. For non-member purchases that Giving Assistant retain the commission, and make a small donation to Feeding America to give one meal. Members are given the option to automatically donate any % of their cash back to any charity of their choice. Double Cash Back, Always. Giving Assistant gives you 100% of the commission, unlike the other guys with just 50% of the commission. I currently give back to my favorite book subscription box that donates to charity, but am in love with Giving Assistant! It's so easy to give back in my every day shopping. Check them out!